Integrated Logic System Home Page! One Point I want to make is a lot of the new hardware has button cell 3 volt batteries in them. If you are not going to use the hardware remove the battery and place it inside a small zip lock. These batteries will go dead in 12 to 16 months and can leak doing damage to your hardware. Lotharek Ultimate 1 Meg and Side 2 Cart have there batteries in sockets making it easy to remove and replace when you get ready to use them. Not all the hardware designers have taken the time and expense to install sockets. So the point I want to make is you may be able to install a socket but not always. If you have an ICD R-Time 8 then you know about how long one of these batteries will last. As a collector I have hardware just because I want it but I need to start asking the builder if the hardware has a battery and is that battery in a socket! Need to also ask if the new hardware supports all 15 drives that the new SpartaDos X does. I really Like Steve Tuckers APE Software and USB SIO2PC but it does not support drives past 8. 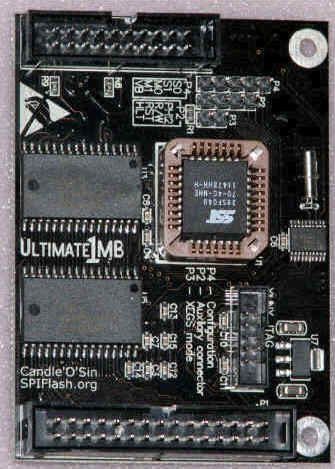 SpartaDos 3.3 a ==> d, ICD SpartaDos 4.0 rev 21, RealDos 1.0, and MyDos Support 9 Drives. The newly revised SpartaDos X supports 15 Drives. 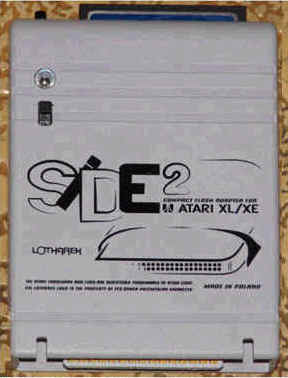 Atari Dos 2.0 and 2.5 Support 4 or 8 Drives. I am not going to list any more drives since I have covered the most used Disk Operating System. I am not trying to slam or take pot shots at the new hardware being created I just think as a Power User that try to purchase 2 or more of all the new hardware the designers should spend the few extra dollars for Battery Sockets. I am really happy and impressed at all the new hardware that has been built since 2000. I am really happy to announce that this web site is carrying information on the ABBUC Mega Speedy 1050 Disk Drive Upgrade. The Mega Speedy was designed and Built by Guus Assmann and Matthias Reichl for the 2014 ABBUC Hardware Contest. I was one of the people who beta tested the Mega Speedy. >6/24/2014 I am really happy to announce that our AKI like Keyboard interface KRH (Keyboard Replacement Hardware) is complete and shipping. If you want one to use with your Stereo Pokey Board I can build a KRH for that configuration. >5/22/2014 Updates to the Hardware Review Section have been made. Please clear your cache if you have not been on this web site in the last week from the date posted. The Download section has been disabled until I finish the new download section. >11/01/2013 This is a message from the Author FlashJazzCat of the APT "FDISK.COM program. Report bugs to FlashJazzCat the fdisk code was updated today so get your updated copy. QUOTE "FDISK versions 2.5 and 2.6 are deprecated and won’t be receiving any updates. You should use the 4.0 beta and report any issues to me. I don’t have time to maintain the SDX-only version of FDISK, and I wish people would abandon the earlier versions. Hopefully that will happen once all the bugs are ironed out of FDISK 4. >10/05/2013 IDE Plus 2.0 D Prelim Review is now here. I have been updating the Hardware review section so if you have not been on my web site in the last 3 days you should clear your cache in your browser program so you get the update info. >9/24/2013 My RealDos.net Mirror WEB Site! >7/19/2013 Added the ATX Power Supply Brown out protector! >7/17/2013 Atari 130xe installed into a PC tower case. >7/16/2013 IDE Plus 2.0 D Prelim Review is now here. >6/18/2013 Sloopy sent me one of his USB SIO2PC and I have done a review of his device. I like it and it does work and no worries about it shorting the PCB out. >6/11/2013 After giving this some thought I have decided to give All version of RealDos for FREE. Only requirement is e-mailing Me letting me know that you are using it. This lets me know if I should continue to work on the project or pack it in. >Also Software Reviews has had some updates made to that section of the WEB Site. Now there is a review of Ed Bachman Wedge Software. 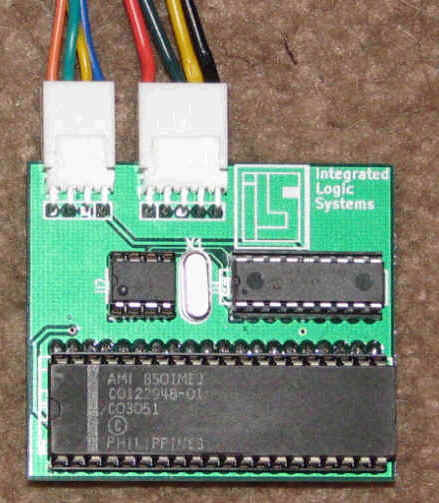 >5/11/2013 ILS has sold out of Multiplexers! I will only build more if there is enough pre-orders! See more info under the MUX Project button. New Hardware Purchase. I just received some new AtariMax SIO2PC devices. I have one that is designed for internal installation. The best addition is the in/out Atari SIO SIO2PC device. 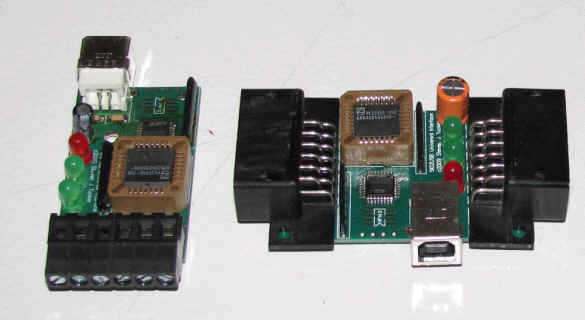 So many of the New Atari hardware being designed with one SIO connection. So unless you have a CSS QUINTAPUS you have no was to hook these things together. You can bet if I need to purchase any more SIO2PC's I will purchase the Dual SIO connection selection. Spring time is almost here! Because of the amount of equipment I lost due to the last lightning strike I am not going to even try to run my internet hosting equipment during a storm. If I here THUNDER or if Where I live is under a Thunder Storm Warning. I will have shutdown all my Computer Equipment and disconnected from my DSL and phone equipment. I just have too much equipment that is not easily replaced. All 9 of my Atari 8-bit equipment has at least 20 hours of custom modification. Not to mention Atari PBI hardware that is hard to find and expensive when you do find it. So if you do not get the web site or BBS is not answering on any port it is due to Storm Warnings or an Active Storm is in progress. After the STORM has passed I will bring the system back up as quickly as I can. After the last time I took a direct strike I had several very nice Atari 8-bit enthusiast help me get back online, It still took me 18 months to fix of replace and rebuild this web site and Internet BBS systems. Added information on my Internet BBS System and how it works! Added a Button to other Classic BBS that are on the internet.. I found a web counter and added to my web site. I did this so I can see how much use this web site is getting. This web site has been designed to provide all the information I can find about the Atari 8-bit. This web site has only Atari 8-bit information and tools. I have also included tools and information that runs on the IBM clone that supports the Atari 8-bit. The Hardware projects on this web site have been built and tested by myself and I know them to work. If you are building a hardware upgrade and want it reviewed please contact me by e-mail. I have friends that are planning to do hardware reviews and I will publish them. I hope to make this web site the best in software and hardware modifications for Support of the Atari 8-bit. The only way I can make this the best is by your support. If you some cool project and want it published on this web site please contact me. To prepare a document for this web site just use Microsoft word or a similar text processor and I will turn it into an html file that follows my web site format. I have years of experience programming for the Atari 8-bit. I have built many modifications for the Atari 130xe, 800xl, and 65xe. While in the big world of computers most people would think we are crazy for spending the time we do on the Atari platform. I think we have the greatest computer platform in the world. 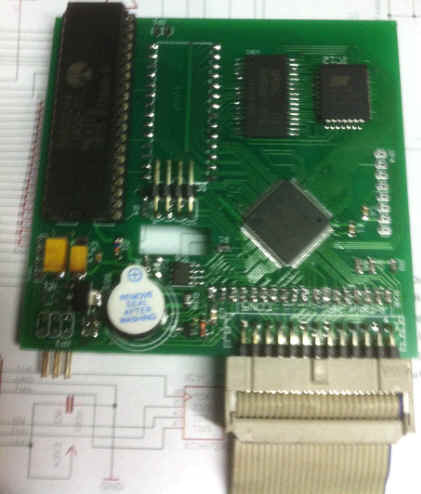 We can make hardware modifications and then write the software to drive the modification. With the SIO2PC linking our 8-bit to the IBM clones has given us great new life into our 8-bit computers. The Greatest and I think the most powerful tool for our 8-bits is the SIO2PC and the APE software from AtariMax. One thing I want to let everyone who uses the AtariMax APE software is to make sure you register it so you have a version that can fully utilize the software capability. I say this because I have had people tell me my APE utilities in RealDos do not work when they are using an unregistered version of APE and RealDos. There is a tool within RealDos; "ape_ver" that you can run and it will tell you if you have a full version. If you get this screen when you startup APE then you have a registered version. 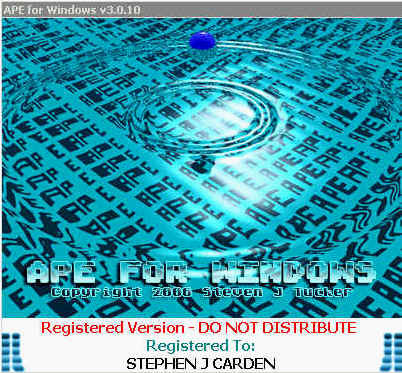 If you want to register your ape software just click on the APE for Windows graphic. APE is a software package that runs on the IBM clone and Windows. I have setup this link as a favor to you. AtariMax and Steve Tucker own APE and I receive nothing from AtariMax for this link. While I write programs for the APE and SIO2PC (serial and USB versions) we are two different people companies. ILS is owned by Tammy Carden my wife. I am retired and just want to share the information I have learned about the Atari 8-bit. If you wish to donate to this web site send what every you can afford to send. Or by registering RealDos. If this web site does not generate enough funds for the high speed DSL connection I will have to take the web site down. I am unable to work now so I do not have a lot of cash to do anything. Out of all the dos tools I have written only 11 people have registered RealDos and I have not received anything for SpartaDos 3.3a,b,c,d. If you use SpartaDos 3.3a,b,c,d or RealDos this is software I have written or modified. I know that everyone that uses the Atari800WIN Emulator and use SpartaDos are using my siov handler I wrote. Thousands of people use it and no one has ever sent me a dim for it. I modified the siov handler in SpartaDos 3.3a to run with the multiplexer and I had no idea at the time that it would work so well with the Atari800WIN emulator. if you want a copy of the Atari800WIN Emulator and Emulator Roms Just click on each of the links. Real.dos build 0030 is available for download in the Real.dos button! ILS still has no basic Multiplexer for sale! They are gone I will only build more if there is enough pre-orders! See more info under the MUX Project button. The Download has had many documentation files added. A lot of other information is in the download section. Here in the next few weeks I will copy my entire download section from my BBS system over to the web site.. There may be a doc you need!